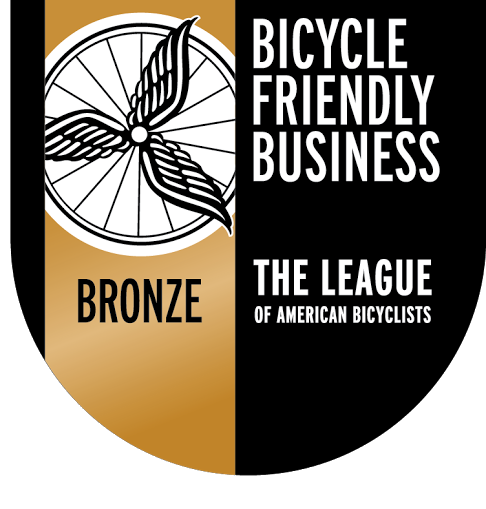 The Architect of the Capitol (AOC) is now a League of American Bicyclists recognized Bronze level Bicycle Friendly Business! Today, the AOC joins a cutting-edge group of more than 1,000 local businesses, government agencies and Fortune 500 companies across the United States that are transforming the American workplace. "The business community's investment in bicycling is playing a central role in making the country a safer, happier and more sustainable place to live and work," said Amelia Neptune, League Bicycle Friendly Business Program Manager. "We applaud this new round of businesses, including the Architect of the Capitol, for leading the charge in creating a bicycle-friendly America for everyone." "We are so pleased to make the U.S. Capitol campus a more welcoming place for biking commuters and the visiting public," said Architect of the Capitol, Stephen T. Ayers. "It is rewarding to be recognized as a Bicycle Friendly Business and to know that we have a passionate group of employees who implemented a cohesive program to achieve this recognition." Learn more about the League's Bicycle Friendly Business program at bikeleague.org/business.